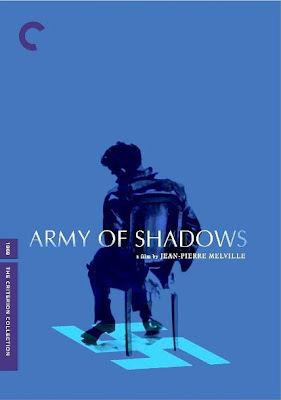 Army of Shadows, Jean-Pierre Melville’s follow-up to his LesSamourai, remains, along with the latter, as his most internationally famous work. Adapted from Joseph Kessel’s semi- autobiographical novel of the same name, this remains as one of the finest movies on the subject of World War II, and more specifically, the role of French Resistance during the war. The fact that Melville was himself a part of the Resistance during his youth, added layers of eerie realism to the proceedings. The somber, moody and hauntingly beautiful film is about the world-weary members of an underground Resistance group fighting the Nazis, and more importantly, striving to prevent capture by, and the ensuing torture at the hands of Gestapo. A number of characters have been wonderfully delineated with Philippe Gerbier (Lino Ventura), a high-ranking member of the clandestine group, being the principal protagonist of the storyline. The film was notable for director’s refusal to take any stance regarding such topics as heroism and morality, making it all the more frighteningly real – the clumsy and cold-blooded murder of a young turncoat was one of the most chilling sequences imaginable, as was the clinical execution of a revered member for having fallen into the German hands. The Nazis, in fact, occupy very less screen-time, as the focus here was on the psychological toll on the Resistance fighters, their intense alienation and the difficult moral choices they oftentimes need to make. Brilliantly photographed in soothing blues and superbly enacted by the cast, this taut, quietly engaging and deeply fatalistic film provided a disconcerting window into the otherwise romanticized world of the French Resistance. Sawdust and Tinsel, along with Summer with Monika (both of which released in the same year), remains as one of Bergman’s best works from his earlier (pre-The Seventh Seal) days, though, unlike the latter, it was mostly rejected by the critics and audience alike upon its release. This was a dark and brooding meditation on hopelessness, frustrations and desperations of the members of a traveling circus, whose lives are pathetically stuck in a vicious circle. The movie starts with the chronicling, in flashback, of the sadly funny tale of a mime joker, whose powdered face and clumsy attire contrast with his inner sadness, compounded by the callous cruelty of the outside world. The focus then shifts to the film’s two principal protagonists – Albert (Ake Gronberg), the circus’ world-weary boss who longs to settle down with his estranged wife and son, and his jealous mistress Anne (Harriet Andersson), a coquettish and voluptuous young girl who hopes to earn some quick buck by stupidly yielding to a sly local theatre actor. Both the leads gave excellent and nuanced turns, with Gronberg being especially explosive in his portrayal of a man who is imploding from every angle, and yet unable escape his vacuous existence. 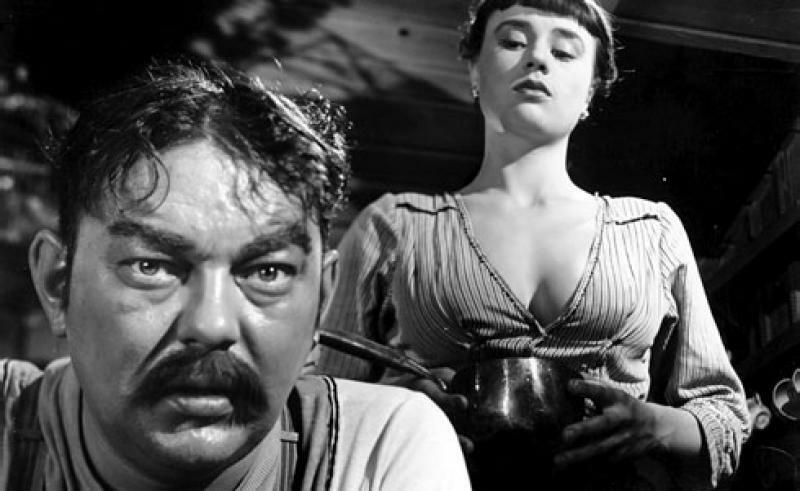 His first association with his famed long-term collaborator Sven Nykvist, the stark and expressionistic B/W photography filled the movie with a relentless sense of doom and bleakness that would farm a hallmark in a number of his more renowned later works. The script, however, veered towards excess melodrama and hysteria at times, and the near-static content and overtly gloomy nature made it quite a demanding watch. Though his fifth film as a director, Pigs and Battleships was the first movie that made the world stand up and take notice of the Japanese iconoclast Shohei Imamura. His obsessive fascination with the seedy underbelly of post-WWII Japanese society took a gleefully grotesque and comically violent form in this darkly funny movie laced with trenchant socio-political commentaries. The film’s protagonist Kinta (Hiroyuki Nagato) is glibly amoral anti-hero with a swagger to remember, working, in the hope for a fat bonus, for the Japanese yakuza gangsters and racketeers who have started a pig farm as part of a scheme. His girlfriend Haruko (Jitsuko Yohimura) desperately pleads him to go straight so that she need not prostitute to American G.I.’s to sustain herself. The partnership of convenience between the powers that be, however, soon goes for a toss, and it’s our young, dim-witted Romeo who finds himself in the middle of the brewing tussle, leading the film to a carnivalesque and unforgettable over-the-top climax comprising of an avalanche of pigs in the thriving naval-base town of Yokosuka, where the story is set around a decade after the war. 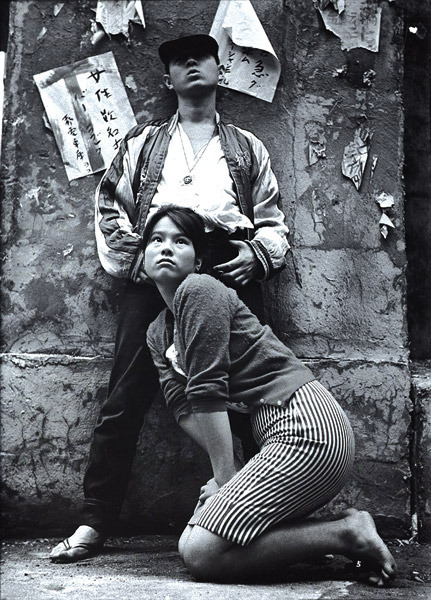 No one is spared Imamura’s vitriolic observations and acerbic jabs, be it the arrogant G.I.’s, the opportunistic Japanese mobs looking to make some quick cash, or the corrupt Japanese-American and Chinese middlemen. Shot in glorious B/W, the film comprises of bravura camera work and smart usage of music in order to portray the chaotic proceedings and their ironic underpinnings. Nagato gave a fabulous portrayal, as did the entire support cast, thus providing us with an idiosyncratic, immensely enjoyable and subtly humane movie. Gertrud, the final film of Danish master Carl Theodor Dreyer, served as a great swansong for him. Made nearly a decade after his masterwork Ordet, the movie, based on a 1906 play by Swedish playwright Hjalmar Soderberg, was greeted with open hostility upon its release, but its stature has only increased with time. Austere, sombre, philosophical, and filled with melancholia, this was an exquisite portrayal of the breakdown of marriage and one’s hopeless yet never ending pursuit of love and happiness. The titular Gertrud (Nina Pens Rode), a former opera singer, is a strong-willed yet forlorn woman who naively believes in the concept of true love overarching over every other detail in one’s life. Three men are in love with her – her husband Gustav (Bendte Rothe), an eminent lawyer transitioning towards politics, her former fiancé Gabriel Lidman (Ebbe Rode), a renowned poet, and Axel Nygen (Axel Strobye), a professor of psychology. She, however, is besotted by Erland Jansson (Baard Owe), a young concert pianist, who, unfortunately for her, doesn’t return her feelings with similar intensity and sincerity. 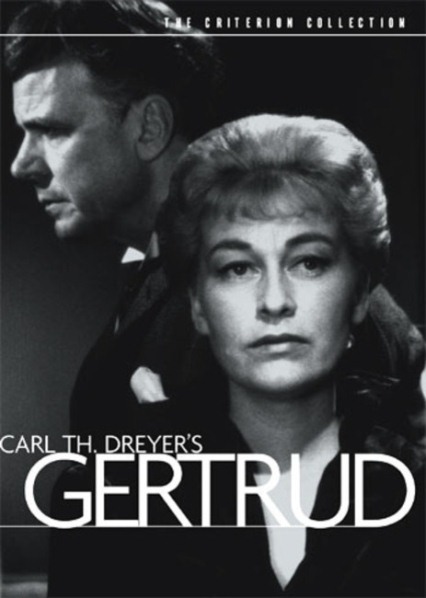 The film begins with Gertrud matter-of-factly informing her husband of her decision to leave him, and that sets rolling a series of profoundly complex and deeply emotionally conversations between her and these men, which do not just leave deep impacts on them, but also makes the chasm between their outward fame and inner loneliness heartbreakingly stark. Very well enacted by the cast, and wonderfully photographed in atmospheric black-and-whites, the film is noted for its leisurely pace, verbose content and audacious long-takes – there are just 89 shots in the entire movie. 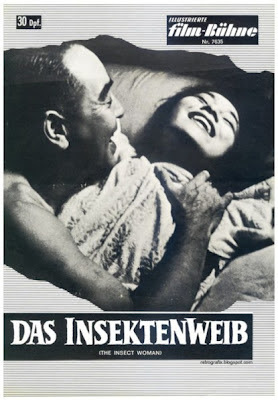 The second film in Japanese iconoclast Shohei Imamura’s provocatively titled trilogy Pigs, Pimps & Prostitutes (coined by Criterion), The Insect Woman would rank among the most daring films of his career – and that’s saying something, especially if one is aware of his body of work. The film was daring for its complex content, but more so for its audacious scope. Structured in the form of a bildungsroman, it covers half a century in the life of its complex protagonist Tome (superbly enacted by Sachiko Hidari), with the various socio-political upheavals of contemporary Japanese history forming a crucial backdrop to her fascinating, if tragic, life. The illegitimate daughter of a dim-witted village farmer, she experiences the various extremes that life, her various acquaintance and the times can throw at her – from being exploited as a prostitute to becoming the madam of a brothel and exploiting others with the tables now turned, from swindling to being swindled, and from utter impoverishment to power and money to back to square one. She has an extended relationship with a seemingly decent natured man only to find after her jail term that he hasn’t just swindled her during her absence but has even started exploiting her young daughter, while her relationship with her father is grotesque and perverted yet also strangely touching. Imamura touched upon a variety of dark themes, like sexual exploitation, incestuous relationships, prostituting (both literally and figuratively) to the Americans, etc., to portray the sordid underbelly of Japan’s changing fortunes and choices over the years. The script alternated between ribald humour, pointed social commentary, and poignant human drama, leading this audacious episodic film to a memorable climax.